I struggle so much with watercolor, yet I like the media and really do want to get better with it. So I keep trying. 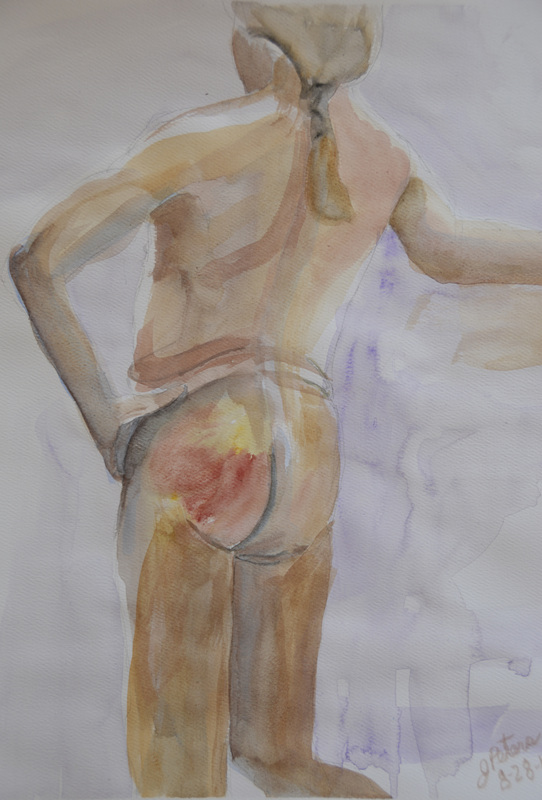 Last Tuesday night, at my life drawing session, I worked in watercolor. I worked more spontaneously than I usually do, which I liked. My biggest problem was that I felt as if my values were too light; they lacked intensity. This is something that I need to work on. I will most likely take my watercolors with me tomorrow night, this time with a focus on developing intensity. 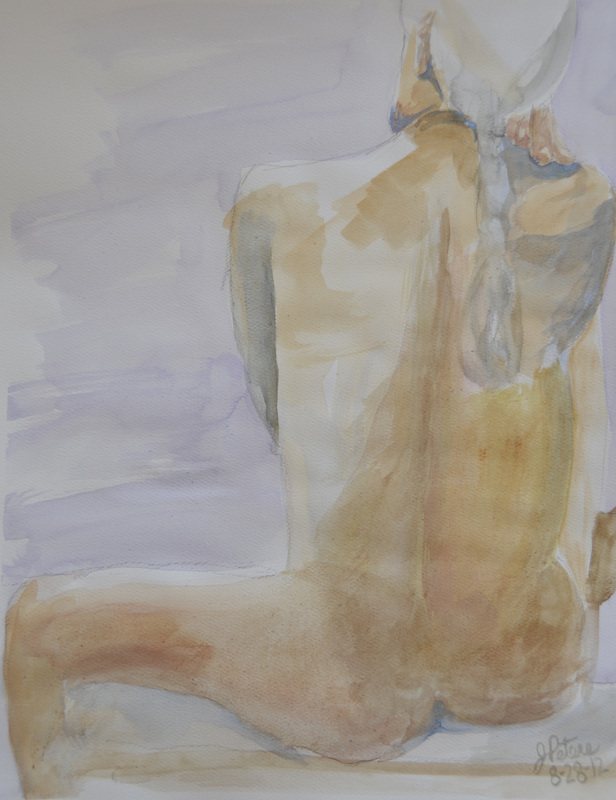 This entry was posted in Artwork, Life Drawing and tagged arts, figure, foreshortening, human proportions, life drawing, natural skin tones, watercolor, watercolors. Bookmark the permalink.